International maritime crime is becoming “increasingly sophisticated” as criminal groups exploit jurisdiction and enforcement challenges on the high seas and pose “immediate danger to people’s lives and safety”,the UN anti-drugs and crime chief warned the Security Council this week. “Two-thirds of the world’s surface is ocean. Nearly all of that is beyond any State’s territorial waters and largely not subject to a single state criminal jurisdiction,” Yury Fedotov, Executive Director of the UN Office on Drugs and Crime (UNODC) said briefing the Council’s first-ever debate targeting the global challenge of transnational maritime crime. Speaking via video conference from UNODC headquarters in Vienna, he spotlighted the root causes of transnational organised crime at sea and the linkages between terrorism, piracy and illegal trafficking. “Maritime crime by its nature involves vessels, cargoes, crews, victims and illicit money flows from many regions”, he said, adding the UNODC counter-piracy programme grew from its success off the coast of Somalia, plagued by high seas crimes including piracy, robbery and smuggling. UNODC continues to support trials in Kenya and Seychelles, as well as humane and secure imprisonment of convicted pirates and has completed the first phase of the Mogadishu Prison and Court Complex, to be handed to the Somali Government soon. Fedotov said public/private co-operation has seen UNODC make advances through the Indian Ocean Forum on Maritime Crime, which co-ordinates response to heroin and charcoal smuggling funding terrorist groups and the Contact Group on Maritime Crime in the Sulu and Celebes Sea. The agency also supports inter-regional co-operation against criminal activities at sea; is working to secure the container trade supply chain and is combatting terrorism, human trafficking and migrant smuggling, wildlife and fisheries crime, firearms trafficking and emerging crimes. “All our work at sea, where jurisdiction is complex – crime is often committed unseen and enforcement is difficult – builds on UNODC’s experience and research expertise in addressing all forms of organised crime, terrorism and corruption,” the UNODC chief said. Fedotov emphasised the importance of countries ratifying and implementing international commitments, including the UN Convention against Transnational Organised Crime and its protocols and providing technical assistance. 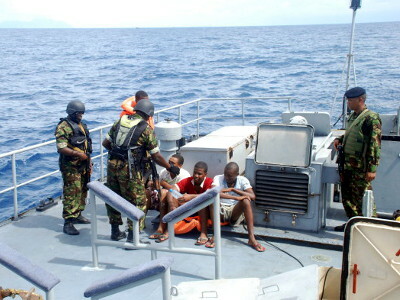 Simeon Oyono Esono Angue, Foreign Minister of Equatorial Guinea, which presides over the Council for February, said in the last decade piracy in the Gulf of Guinea accounted for 30% of attacks in African waters. Although a security threat, the Gulf also provides resources to sustain Equatorial Guinea’s economy. “This area is of vital importance for my country’s subsistence”, he argued, asking “the African Union Commission, the United Nations and strategic partners” to support efforts to ensure peace and maritime security, the fight against terrorism and piracy and sustainable development of countries in the region. Speaking via teleconference from Luanda, Florentina Adenike Ukonga, Executive Secretary, Gulf of Guinea Commission, briefed the Council and focused on crime in the region “as a threat to world peace and security”. Comprised of countries from Liberia to Angola, the Gulf of Guinea area encompasses a 6,000 km coastline, which Ukonga called “a wide expanse of water no country in the region can successfully patrol”. She did make recommendations, saying: “Transnational organised crime at sea in the Gulf of Guinea region can be reduced with a better and more co-ordinated intervention at national, regional and international levels”.